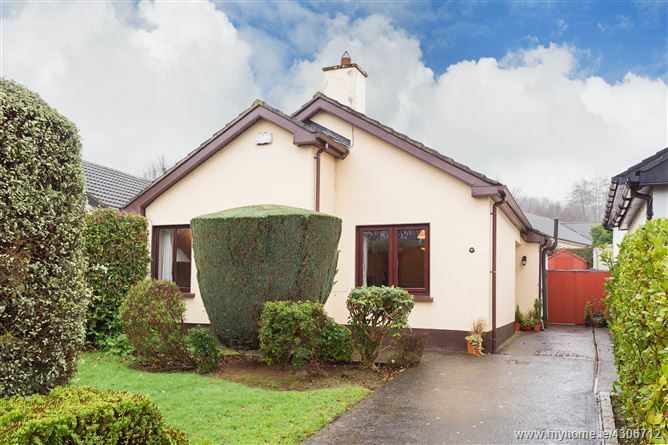 Murphy Mullan are delighted to bring to the market this superb three bed detached bungalow located in the exclusive and highly sought after Park development in Cabinteely. Located on this wonderfully private cul de sac, No.8 is ideally positioned and benefits from a south facing rear garden with conservatory. The spacious and well laid out accommodation briefly comprises, entrance hallway, large living / dining room, kitchen / breakfast room leading through to the fabulously bright conservatory, 3 bedrooms (2 double) and a family bathroom. The front provides off street parking for two cars, lawned garden with hedging. The south facing rear garden which is not overlooked is laid to lawn and also benefits from a paved area ideal for entertaining. There is a large Barna style shed and side entrance. The convenience of Prospect Lawn can not be overstated, close to all necessary amenities including shops, a doctors surgery and a creche just 2 minutes away. No.8 is also within a very short stroll of Cornelscourt shopping centre and Cabinteely village which combined provide a myriad of different shops and restaurants. The wonderful Cabinteely Park is on your doorstep and provides beautiful walks and a fantastic playground for the children to enjoy. There is an excellent choice of primary and secondary schools in the area such as Loreto Foxrock and St Brigids Cabinteely to name a few. The Luas, QBC and M50 are all within easy access ensuring easy access to the City Centre, Sandyford Business District and Dublin airport. Living / Dining Room 3.61 x 6.06. Laminate flooring, Tv Point, feature fireplace with marble surround, gas fire. Kitchen 3.42 x 3.78. Fully tiled floor, recessed lighting, range of eye and floor level units, plumbed for washing machine and dishwasher, leading through to conservatory. Conservatory 3.42 x 3.53. Fully tiled floor, Tv Point, double doors to rear. Bedroom 1 2.74 x 4.34. Laminate flooring, built in wardrobe, Tv point. Bedroom 2 2.40 x 2.83. Carpeted flooring, built in wardrobe, Tv point. Bedroom 3 3.31 x 2.93. Carpeted flooring, Tv point. Family Bathroom 1.69 x 2.01. Fully tiled walls and floors, walk in shower with Mira Elite shower, whb, w.c.